Poland hopes to accelerate the F-35 purchase process as the Pentagon is looking for new customers. 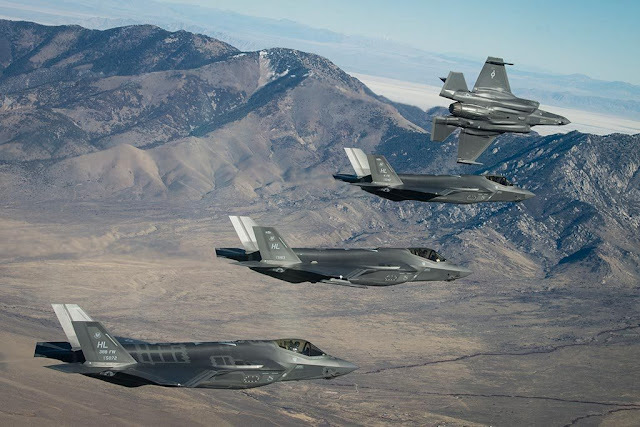 Poland thinks it can accelerate the purchase of up to 32 F-35 jets as the United States intends to increase the operators of the modern combat aircraft, as posted by FlightGlobal. Deputy Admiral Mat Winter, director of the Joint Strike Fighter program at the Pentagon, wrote in an open letter that the Department of Defense is considering selling the fifth-generation jet to countries like Poland, Greece, Romania and Spain. The introduction of new customers would allow Lockheed Martin not to vary the monthly production rate of the aircraft if the Pentagon decides to cancel the sale of 100 jets to Turkey. Polish Defense Minister Mariusz Blaszczak said he was not surprised to see Poland on the list as they have already started negotiations with the United States to buy at least 32 fifth-generation fighter planes (more details here). Lockheed Martin's executive vice president, Richard Edwards, said the initial assessments regarding the sale of the aircraft to Poland should proceed very quickly, but he also specified that the foreign military sales process cannot be accelerated. The purchase of the F-35s by Poland is included under the national modernization program of the armed forces called "Harpia". The new combat aircraft will replace the obsolete Soviet MiG-29 and Sukhoi Su-22 fighter fleet. In total, Warsaw could buy up to 48 F-35s and deliveries could start from 2024 if the contract is signed in a short time.